Many of you missed the Classico $1.50 off coupon yesterday but now there is another one! The Classico coupon yesterday was gone in a matter of hours so if you want this drop what you are doing and print! 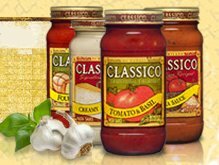 There is also a standing printable coupon on Classico’s site for $1/2 sauces if you miss this great one.